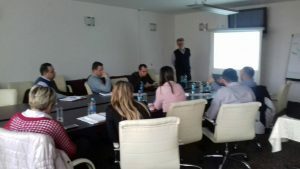 As a part of the project activities, a workshop of project teams of the Municipality of Derventa, the Municipality of Prnjavor and the Municipality of Laktaši was held. At the workshop main activities regarding the project implementation were planned and a detailed analysis of available resources for implementation of specific project activities was conducted. 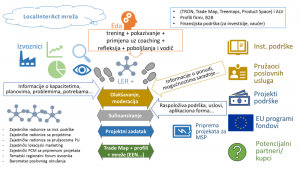 The project “LocalInterAct Network” is implemented on the basis of a partnership agreement with the above mentioned municipalities, it is focused at export-oriented sectors and companies aiming at establishing mechanisms for advanced municipal and inter-municipal support to exporters based on the Small Business Act.